Acupuncture With Jenny Dubowsky, A Massage Therapist’s Perspective - Jennifer Dubowsky, DIPL.Ac. By the time I met Jennifer Dubowsky, I had already been happily receiving acupuncture for many years. Jenny joined our River North Wellness Center group 10 years ago, right around the time I was opening up my own massage therapy practice. I received some treatments from Jenny and was so happy to find that she does not use the super huge needles I had in Chinatown years ago! One thing I like about Jenny’s style is that she tends to use the Balance Method of acupuncture. From what I understand this allows her to needle me in places like my forearm or feet to induce changes in areas that in other styles may require a more direct needling of the effected area. For me this style works great. And I am glad that she is not sticking needles in my throat (for a sore throat) or my gall bladder! I was so happy when Illinois recognized Acupuncture as a legitimate alternative medical treatment (around 1997) and it became legal to practice without a medical degree or chiropractic degree. Then in 2004, the Illinois government amended the Illinois Acupuncture Practice Act to no longer require Acupuncturists to have referrals from a medical doctor to practice acupuncture on patients. Don’t get me wrong, I am not anti-Western medicine. I am also not so naïve as to think that all acupuncturists are good practitioners either. (There are a good docs and bad docs, good dentists and incompetent dentists. Same goes for alternative medicine practitioners.) 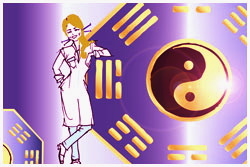 But for some diseases and illnesses, I tend to favor Acupuncture over Western medicine. In my case, I use acupuncture and herbs for common colds, muscle pain and to promote healing. For surgery and mammograms, I see my Western medical team. My original acupuncturist was able to help me heal from a bad groin injury when two medical doctors could not find out what was wrong with me and did nothing to treat me. It was my massage therapy teacher that finally released the scar tissue from my injury and allowed me to walk without pain. And it was my Acupuncturist that helped me heal well enough to allow my massage teacher to do his work. Based on my own experience, my health care team consists of medical docs, acupuncture and massage therapy with a periodic chiropractic adjustment when needed. I don’t understand all the intricacies of Acupuncture (I think I’d need 4 years of training in Chinese medicine to know all that!) But I envision a world in which we can all work together and help keep our patients and ourselves as disease free and able to heal from injuries as rapidly as possible. I am grateful to work alongside Jenny and benefit from her gentle needling techniques when I need acupuncture. It’s also a nice benefit to know I can get Chinese herbs I may need when I get an illness or when my immune system needs help. When people ask me if acupuncture hurts, I can honestly say, yes, sometimes it does. But no more so than a deep tissue massage initially hurts when I first press on someone’s trigger points. Like in massage, once the needles are in place, the pain subsides and I actually forget they are there. And then I can relax and enjoy the peace and calming effects of the acupuncture treatment! If you enjoyed this post check out ~ “My First Experiences With Acupuncture ~ From Disbeliever to Passionate Convert” Also by Ms. Sue Shekut.